Near the end of Johann Sebastian Bach's life there was a move away from the more 'learned' forms in music, mainly fugue and counterpoint. His sons were some of the leaders of this change to the style galant that would lead to the Classical Era of Haydn and Mozart. Amid all the changes in musical style of the time, the Elder Bach's music was being looked upon as well crafted, but old fashioned. But Johann Sebastian could compose in the newer style of melody and accompaniment when he so chose. Bach was in many ways the culmination of the Baroque Era in music, and within that culmination lay the seeds of the future. The Italian composer Antonio Vivaldi had his set of concertos titled L'estro Armonico, Opus 3 (Harmonic Inspiration) published in 1711. This was a set of 12 concertos for one, two or four violins and was a very influential set of compositions. Bach was introduced to the music of Vivaldi with these concertos while he was in the employ of the Duke of Weimar's court for the second time from 1708 to 1717. Bach went on to transcribe and arranged 8 of Vivaldi's concertos for differing ensembles. The concerto in A Minor for two violins, violins, cello and continuo was arranged by Bach as a concerto for solo organ. I. Allegro - The concerto begins with two chords and a downward run. Vivaldi's concertos are full of fast scales up and down the fingerboard of the violin and Bach includes them in this concerto. The first movement is rapid and is in the home key of A minor. II. 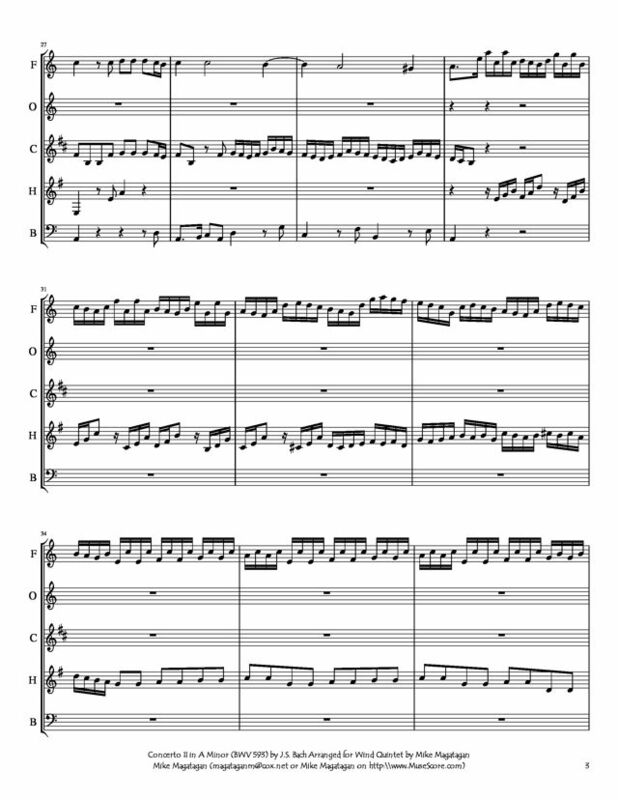 Andante - In Vivaldi's original, the first four bars of the second movement are played by all the instruments, after which they are repeated throughout the movement as a continuous accompaniment to the solo violins that play different melodies. Bach maintains the ostinato in one manual as the soloist parts play in the other. 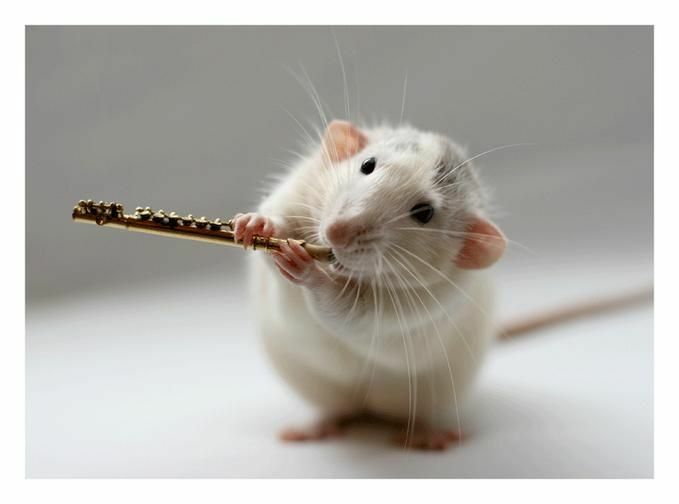 The pedals are silent in this movement, and it is in the key of D minor. 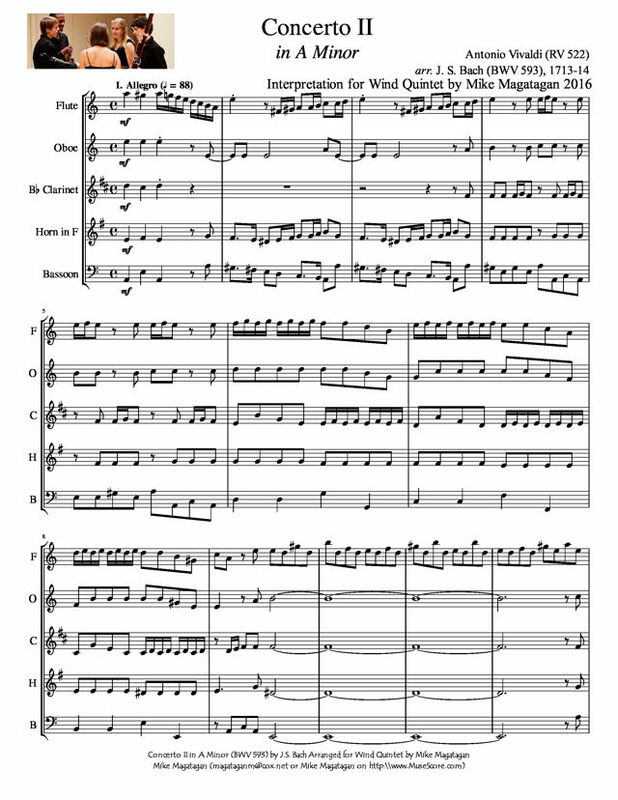 The soloists remain silent as the four bars of the beginning play to end the movement. III. Allegro - The music returns to a brisk tempo and the key of A minor. After the initial statement is repeated, Bach changes the chords played by one of the solo violins to running sixteenth notes while keeping the original eighth notes of the original, one of the few actual alterations to the notes of the original. This adds brilliance to the music, perhaps Bach was flexing his organ playing muscles. He must have liked the effect for he repeats the changes later in the movement. 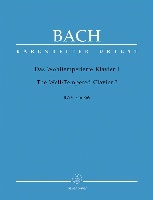 Source: Musical Musings (http://muswrite.blogspot.com/2014/01/bach-organ-concer to-in-minor-bwv-59...). 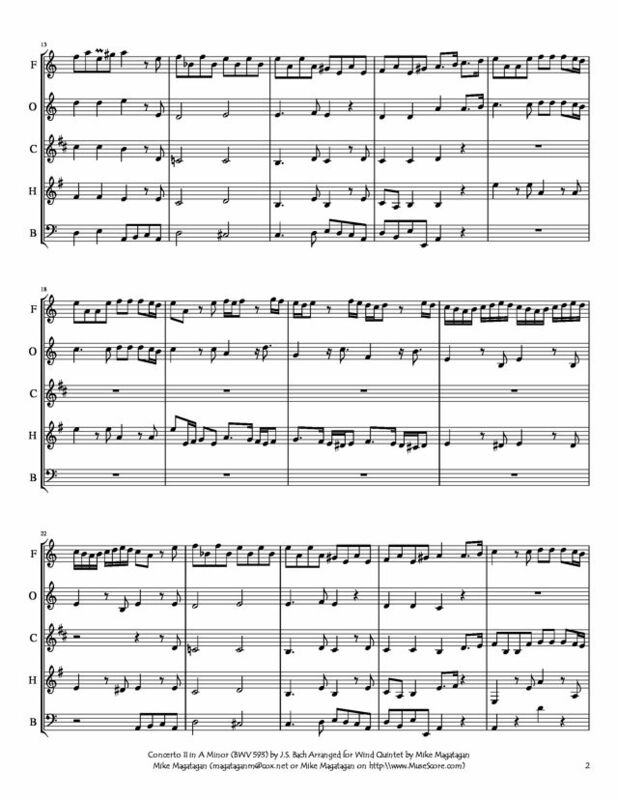 Although originally written for Organ, I created this modern interpretation of the Concerto II in A Minor (BWV 593) for Wind Quintet (Flute, Oboe, Bb Clarinet, French Horn & Bassoon).